With the economy slowly but surely improving, merger and acquisition activity has been on the rise the past couple of years. Many Los Angeles and Southern California business owners and entrepreneurs have taken advantage of this favorable M&A environment to acquire other companies in an effort to increase their sales volume and boost market share. Businesses face many different challenges when acquiring other companies — everything from performing adequate due diligence on the target company to merging sometimes divergent corporate cultures. One challenge that many acquirers aren’t familiar with is how to handle the accounting associated with the goodwill a business acquires when it mergers with another business. From an accounting perspective, goodwill is an intangible asset that arises when a business buys another firm for more than the fair market value of its net assets — or in other words, for more than total assets minus total liabilities. The excess of the purchase consideration (or money paid to buy the business) over the business’ assets and liabilities is considered to be goodwill. Goodwill typically includes such things as the value of a business’ brand name in the marketplace, patents and proprietary technology owned by the company, an established customer base, solid customer relations, and an experienced and stable workforce. Unlike plant, buildings and equipment, goodwill can’t be seen or touched — this is why it’s considered to be an intangible asset and categorized as such on the balance sheet. The issue of accounting for goodwill in a business acquisition has undergone many changes over the years. In particular, changes in accounting rules in 2001 gave acquirers more discretion to include the value of intangible assets like goodwill in the book value of companies they are acquiring. These changes also required businesses to revalue acquired companies at regular intervals. If the company has declined in value, the acquirer must impair (or write down) the acquired goodwill. § Disputes between the owners of the acquiring and acquired businesses. These disputes can lead to potential litigation down the road. § Decreased efficiency, lower profits and lost opportunities. These are a result of the business not running at peak capacity while disputes are being resolved. § Lower worker productivity as employees inevitably get drawn into the disputes. § Inequitable and unexpected liability assumed by one party. Both sides must be specific about the assets and liabilities to be transferred — for example, by spelling them out, assigning a proper cut-off date, and not adding additional items after the fact. § Wasted legal and valuation resources along with legal problems and issues. A valuation of the target company should be obtained upfront as part of the acquisition accounting, not after the fact to justify the accounting. 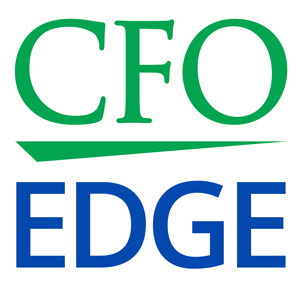 An outsourced CFO services provider can help with accounting for goodwill as part of an acquisition. Such a provider has experience in mergers and acquisitions and knows what the acquisition agreement should look like and what needs to be done from an accounting perspective. An outsourced CFO will make sure everything is clearly spelled out, documented and properly archived so there are no outstanding issues left to chance. He or she will understand the more complex issues involved in the merger and thus can help ensure that acquirers negotiate the most favorable deal possible. § Management can focus on running the newly acquired business and integrating it into existing operations, not rehashing the acquisition. § Ownership and shareholder disputes are minimized or eliminated, thus eliminating distractions for both management and employees. § Unnecessary legal and other professional expenses down the road may be reduced or eliminated with the proper acquisition agreement, backed up by the proper accounting, in place from the beginning. § Equity fundraising or even a potential future sale of the company are not encumbered due to legal actions (or the threat of them). Businesses face many different challenges when acquiring other companies, including how to handle the accounting associated with goodwill. At the time of a business merger, goodwill accounting might not seem like it’s that important, but it’s critical that goodwill accounting be done properly in a business acquisition. An outsourced CFO services provider can help with accounting for goodwill as part of an acquisition by making sure everything is clearly spelled out, documented and properly archived so no outstanding issues are left to chance.